This villa was picture perfect and only minutes walk from the main street. The staff were beyond exceptional and no one wanted to leave. I will be recommending this villa to everyone I know from now on. I stayed at Villa Jaclan for 10 nights with my family and boyfriend. The villa is amazing and modern. The service is friendly and prompt. The location is great, close to shops, restaurants and double six. Highly recommend this villa. My only negative is that the pool is not heated. Given that the majority of the time it’s in the shade, it’s actually quiet freezing. We stayed at Villa Jaclan for 10 nights. In a word ‘awesome’. 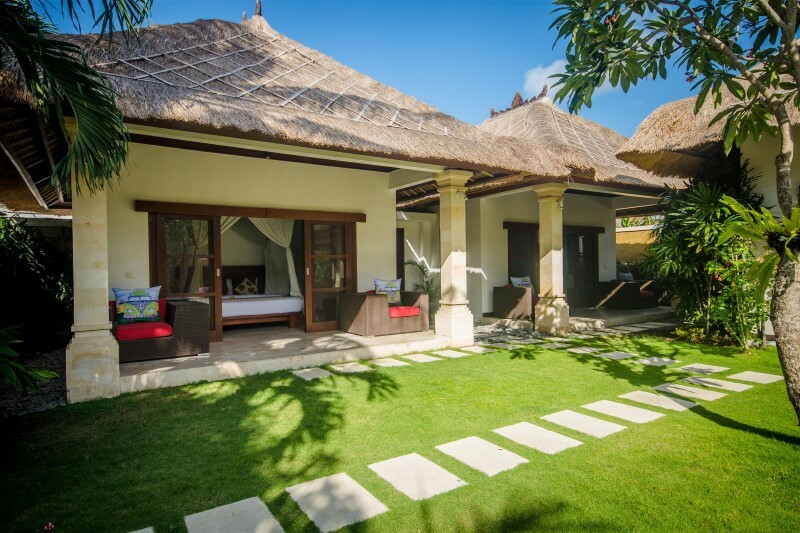 Super friendly and accommodating staff, villa is well maintained and has a luxurious level of appointment throughout. Peaceful Buddha watched over us from pool side :-) Our guest assistant, Kadek, was particularly good at helping us organise outside activities. Nothing was too much trouble. We’ll be back! Villa Jaclan’s main living environment integrates a state-of-the-art gourmet kitchen featuring branded appliances and tableware. The adjacent dining area is furnished with a dark timber table setting perfect for long evenings of good food and social interaction. The dining table can also double as a billiard table. A flat screen television is surrounded by a simple lounge suite creating a cosy corner to sit and relax. Opposite the main building, the barbecue pavilion/bar is the place to party with family and friends. The villa itself is perfect, everything you need on hand. Walk one way out the laneway (5 min walk) and you are at the Bintang Supermarket, walk the other way (5 min walk) and you are at amazing restaurants, day spas and bars. The staff are very helpful and the breakfasts are amazing. 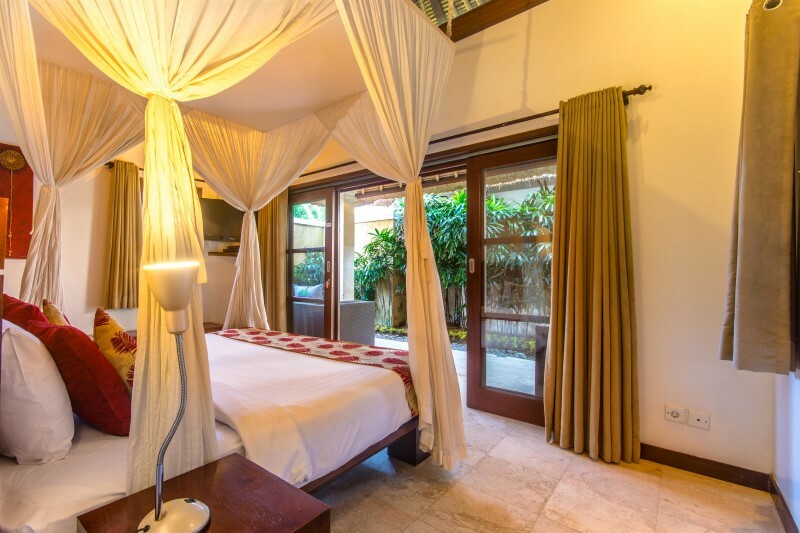 Would definitely stay in Villa Jaclan again otherwise one of the other Bugis Villas. Transport organised for all your day trips, just step outside. Security 24/7 which makes you relax even more. Cannot recommend this group highly enough. Relax!!! This villa has it all. 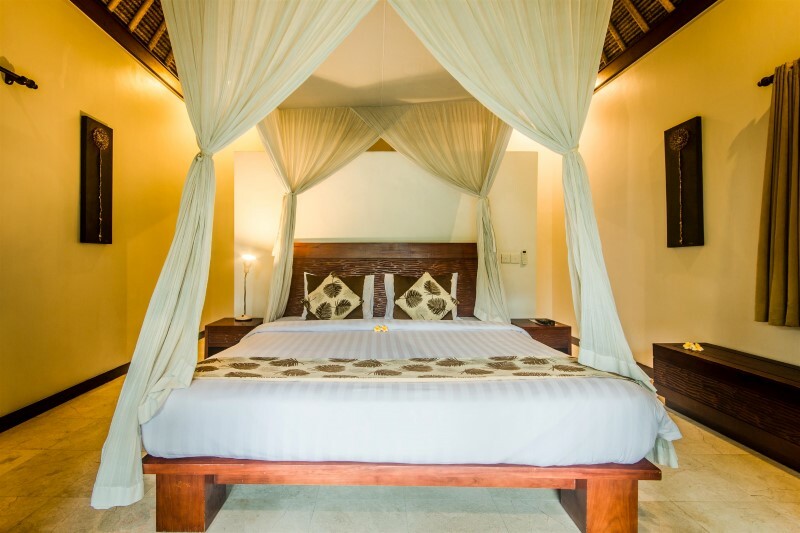 We recently had a family holiday here & I can’t speak highly enough of the whole package.The villa has everything you need: from the lovely pool to the spacious bedroom suites ( each with their own full bathroom.) Cooked breakfast of your choice each morning & staff available & willing to attend to any of your needs – arranging anything we asked for. Rooms serviced every day & grounds & pool cleaned & attended to daily as well. All staff were awesome & made every effort to ensure we had the best holiday ever, – and they succeeded! Only a 5 minute walk to the shopping/ food precinct made it a great location & 24 hour security office situated just outside our gate made you feel very safe. Everyone was friendly & helpful & we found it very hard to leave. Thank you to everyone associated with Villa Bugis villas. Would definitely stay with you again if we get to come back. We stayed for a week in Villa Jaclan which is part of the Villa Bugis complex, the Villa is better than the pictures show, we went with 3 couples and there was so much room and so many things to do we could have stayed in the villa for the entire trip. 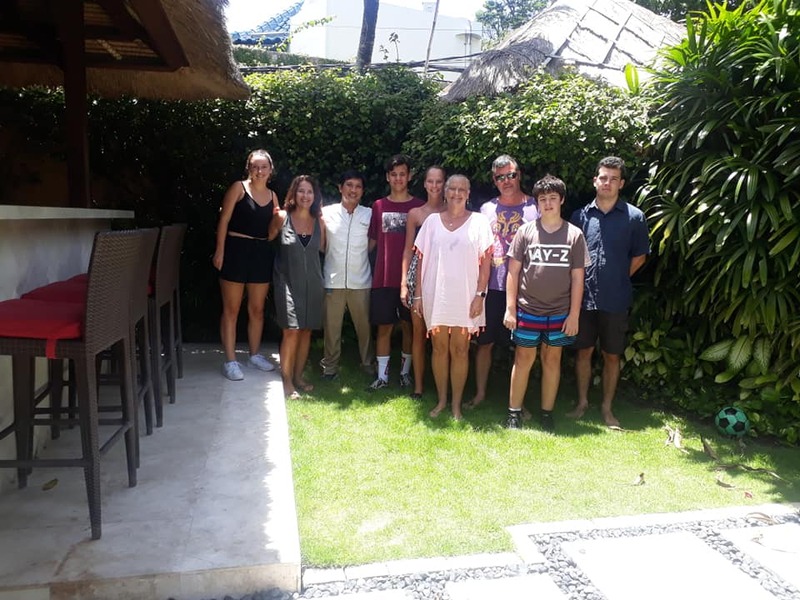 Breakfasts every morning were on time and well cooked, the pool is perfect temperate and gets the sun all day, we also organised in villa massages that cost 150k rupiah for an hour massage. 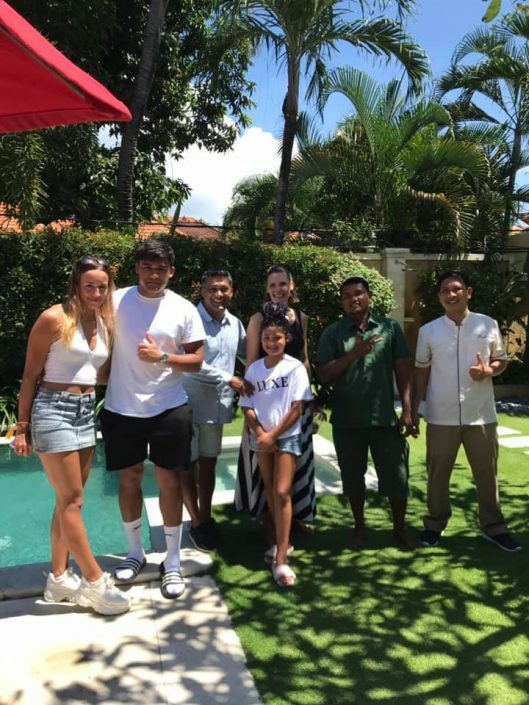 Prior to arriving we organised for some drinks to be delivered to the villa including Bintang, juices and soft drinks, this was all there when we arrived so we were able to enjoy our trip the moment we arrived. There is also 24 hour security and the complex feels extremely safe. 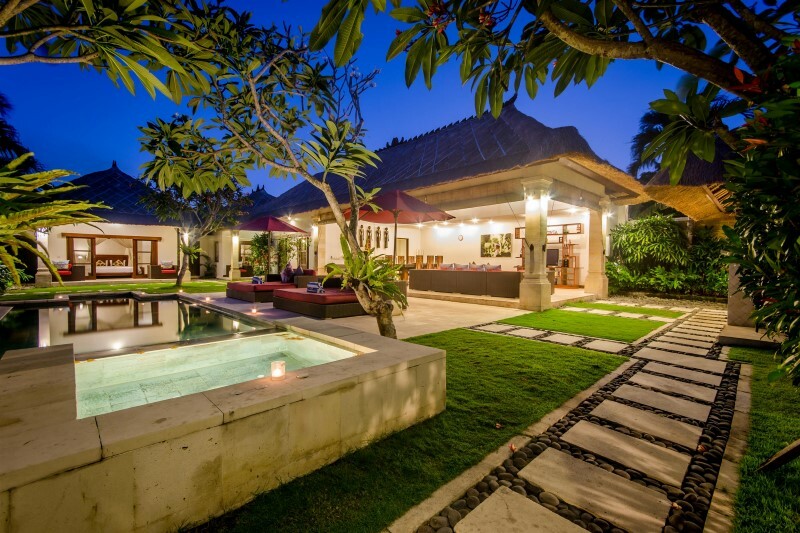 Perfect villa for families, couples or a group of friends, a place I would definitely return to. 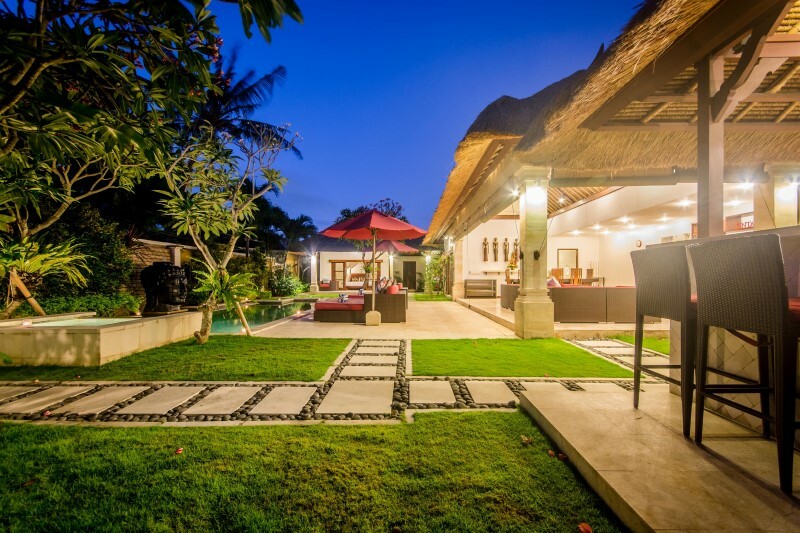 For the first time rented a Villa with swimming pool instead of a hotel. 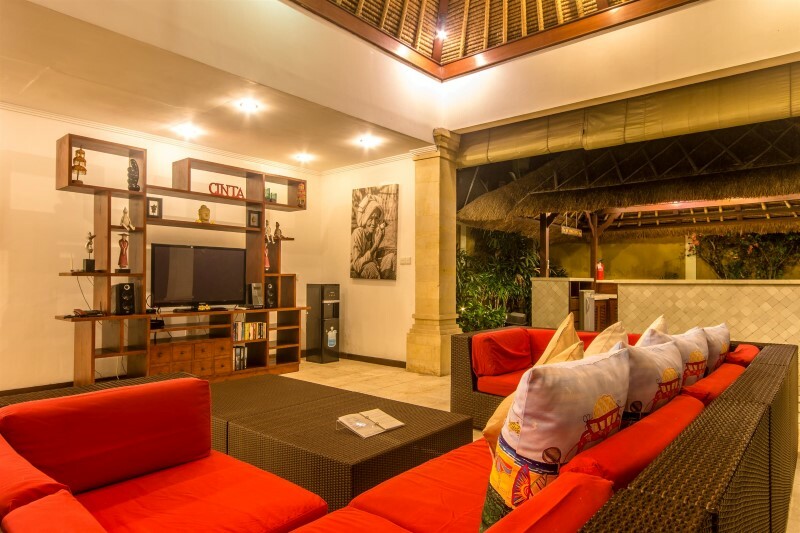 Villa Jaclan (Villa Bugis) gives you more family feeling for a little more money. A Villa that exactly met our family starting points. 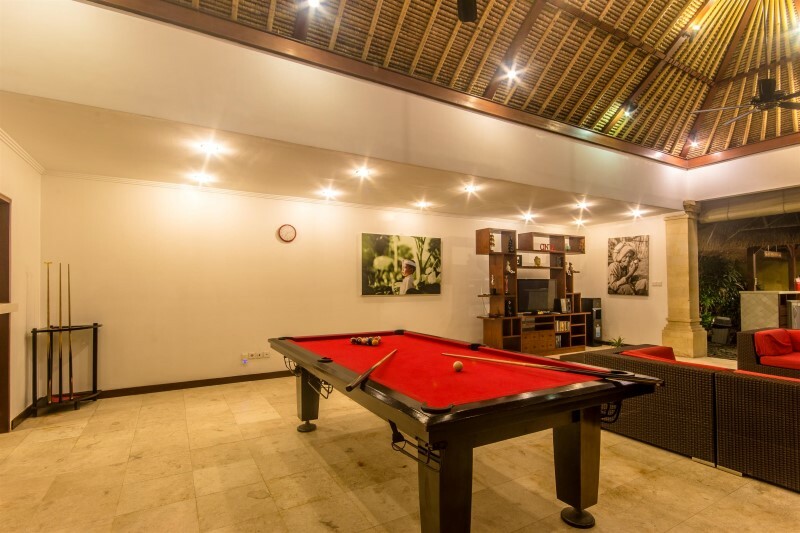 Three room villa with pool / table tennis / billiards / BBQ / Bar / etc … (take a look at this Villa). Together with the family (6 people) enjoyed delicious. 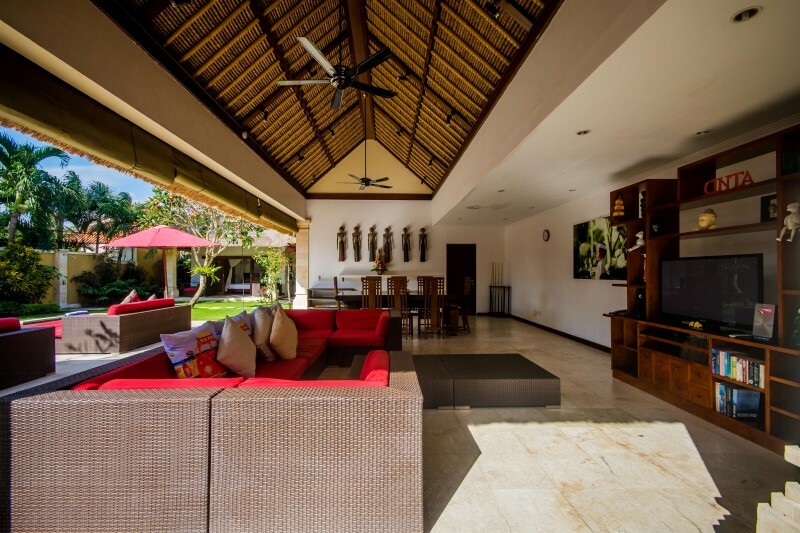 During the day to the beach and in the afternoon to your Villa with private pool. Evening BBQ and then table tennis or billiards or just a book reading. We enjoyed. Villa Jaclan caters for all types of holiday makers – Families, Friends, Couples, Business People & Groups. I have even stayed here on my own as it really does feel like an Oasis. 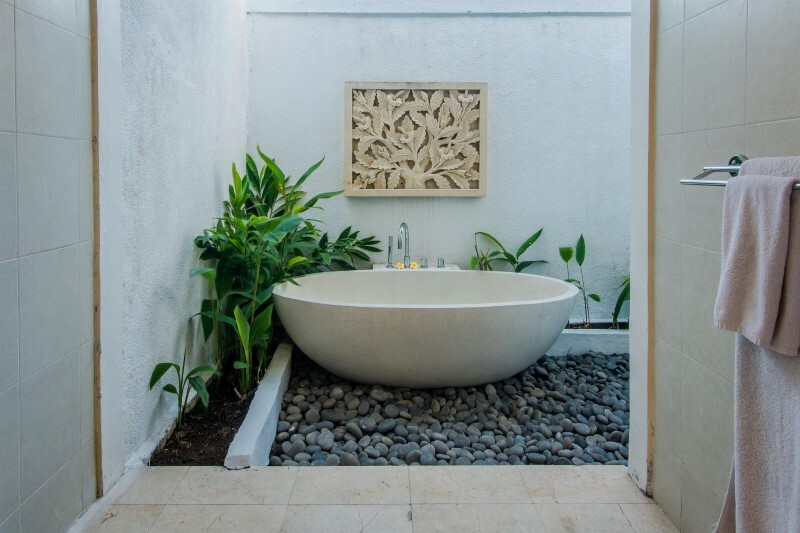 It has all the mod cons without taking away the traditional Balinese style and ambience. There are always cold bintangs in the fridge ready to greet you on your arrival which kick starts the beginning of a great holiday. 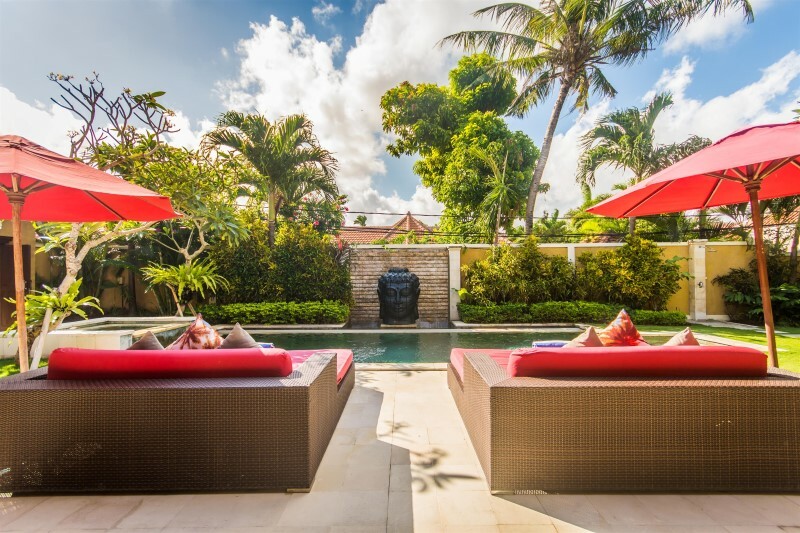 Villa Jaclan is perfectly located in a peaceful laneway retreat between the beach and the main shopping precint. 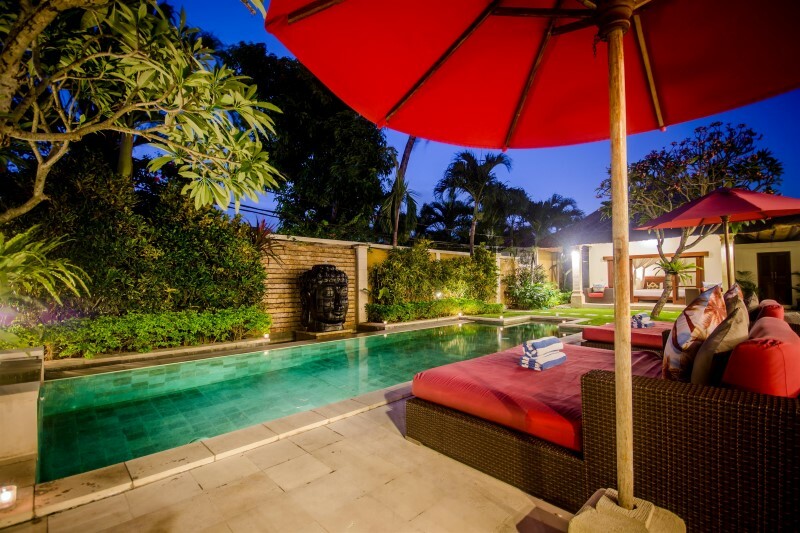 Walking distance to the Bintang Supermarket for all your food & Bev. Absolutely nothing was a problem for them. 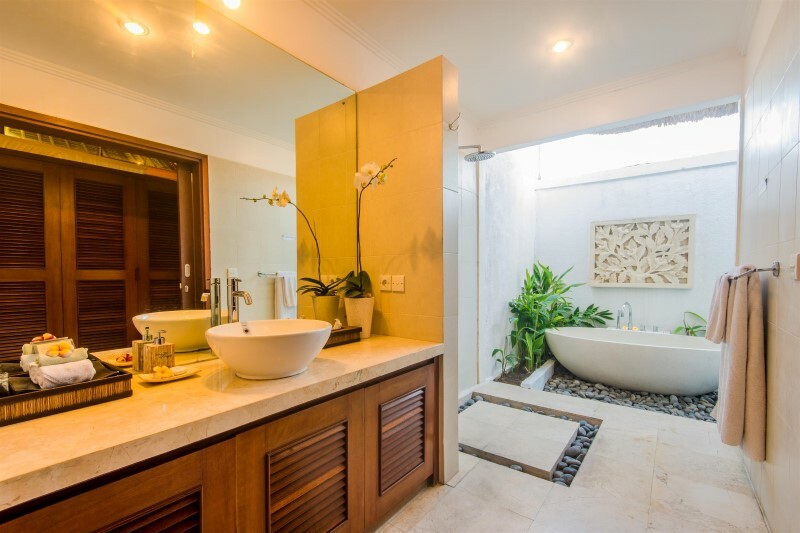 They would liaise with us as to the best times that suited for the Villa to be cleaned and breakfast times. The Security guys would help us with any food & beverage runs which was very convenient and helpful. 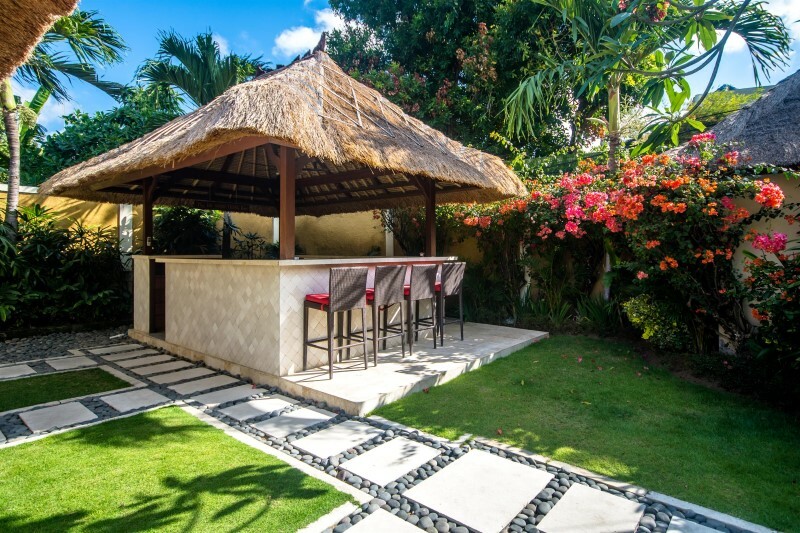 The bar / kichen is perfectly designed for everyone to sit around it and socialise over a few cocktails & Bintangs. There is a spa at the end of the pool to kick back in and enjoy the surrounding serenity. The pool is a good size to swim in or float around on the air beds. Living / Dining Area: Spacious. A large billiards table doubles up as a dining table which seats a good 8 – 10 people comfortably. A good size tv and lounge area with international and fox channels. Rooms: Private with no common walls. Spacious, air-con, secure, tv, mini safe, out door showers, clean and has great beds. 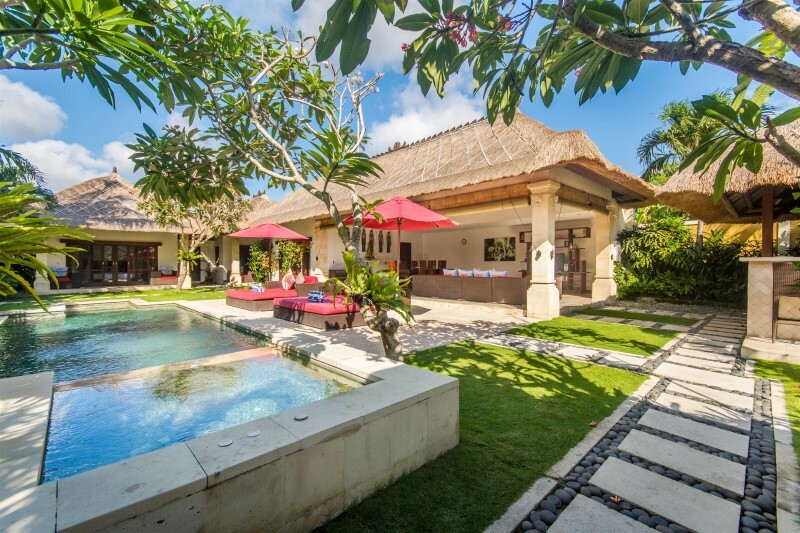 You will not be disappointed booking Villa Jaclan for your next Bali holiday. Our stay in Villa Jaclan was absolutely amazing. There was not one thing we could fault, from the cleanliness and comfort of the villa to the amazing staff who would do anything for us. We will definitely be back to stay in this villa again!! 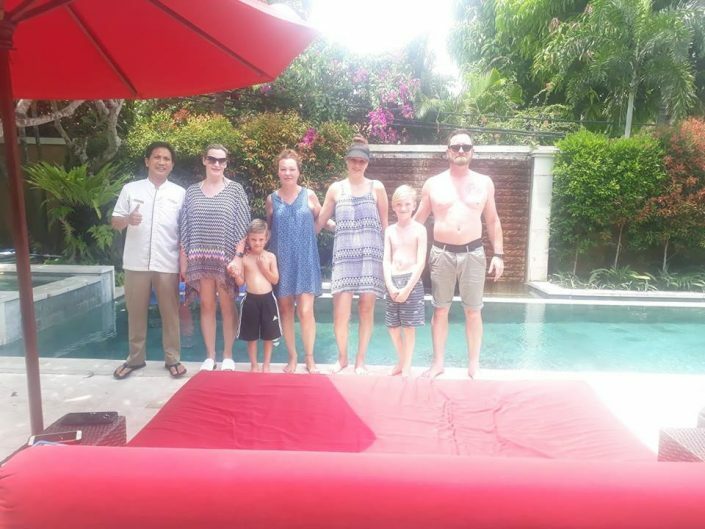 excellent location, just 10 mins walk to beach & bars, tons of shopping & places to eat or get massages Or just get the villa driver to take you anywhere – all day if you like its VERY affordable (Wayan was an excellent guide) Villa is great – super clean with all the comforts – Pool, spa (not heated) all towels supplied! dining table converts to snooker table & ping pong table. stereo available so take your own music to listen to while sprawling out on the HUGE lounges by the pool It was great that they also supplied safe drinking water (so don’t bother to buy any) Food that the staff cooked at the villa was delicious too, I cant speak highly enough of the staff they were all so friendly & fun Love you’s all We’ll be back! We had a great time at Jaclan villa. We are from Noosa, Australia, and can really recommend this one. The staff were just fantastic and very helpful and we had a great stay over Xmas. They advised restaurants, drivers, and destinations, and cooked us wonderful breakfasts and dinners. 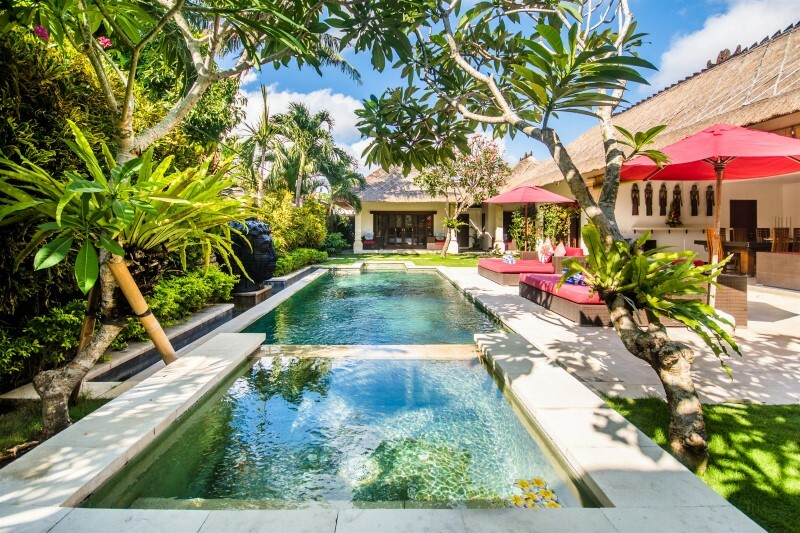 This villa was the highlight of my recent (first) trip to Bali. 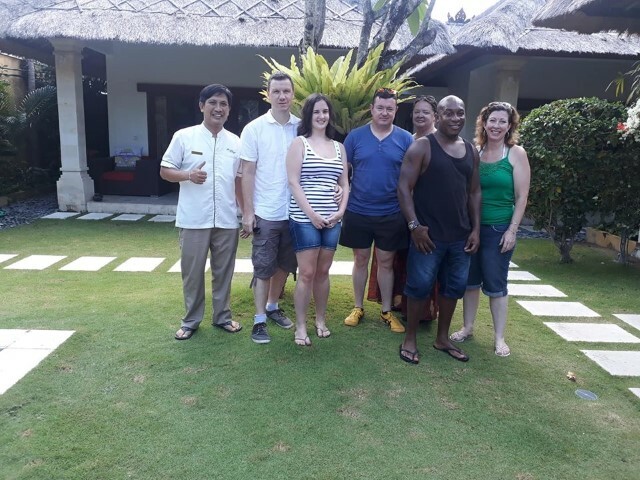 6 of us stayed in the 3 bedroom Villa Jaclan and were blown away from the minute we arrived. We arrived late and were given a tour of the villa and shown all the necessities. We were pleased to see a 24 hour security station just outside the villa walls. The rooms were clean and decent sized and the bathrooms spacious also. In the morning we were served breakfast at our requested time. The ‘chefs’ then went off and made up our rooms. The gardener came in daily and swept the leaves and tidied the villas outdoor area as well as the pool. We celebrated 2 birthdays during our getaway and both times the villa staff came in with a complimentary cake and they all sang happy birthday. It’s the small details like this that make you want to stay somewhere again. The staff were always there and helpful when we wanted them to be, nothing was too much trouble for them and by the end of the week they felt like family. Have already recommended the villa to all my friends and family and am hoping to return in the new year. We had a fantastic time staying at Villa Jaclan. The service was excellent and the villa itself was more than we could have wished for. 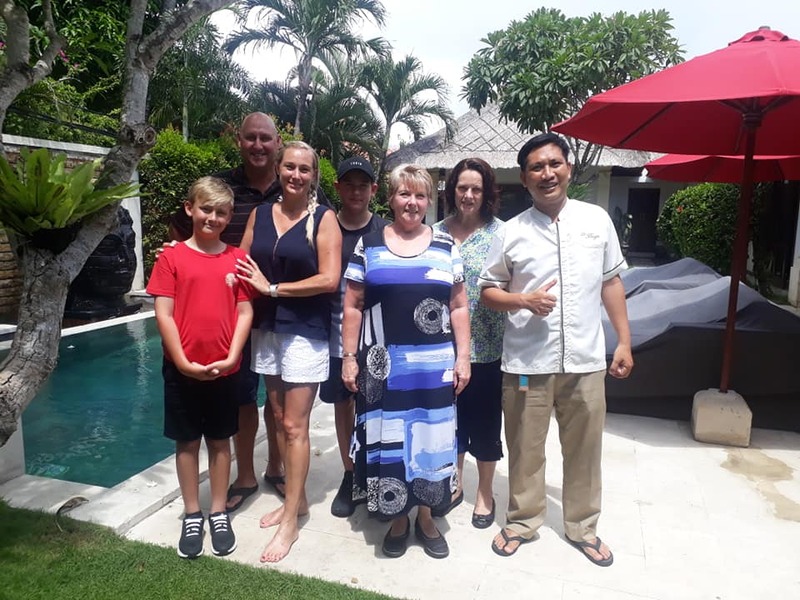 From the cooked daily breakfast to the in-house massages, the morning coffee delivery and special birthday cake/songs for our friends birthday – we will definitely be returning! I highly recommend this villa! I recently got back from a family holiday and it was very sad to be leaving. 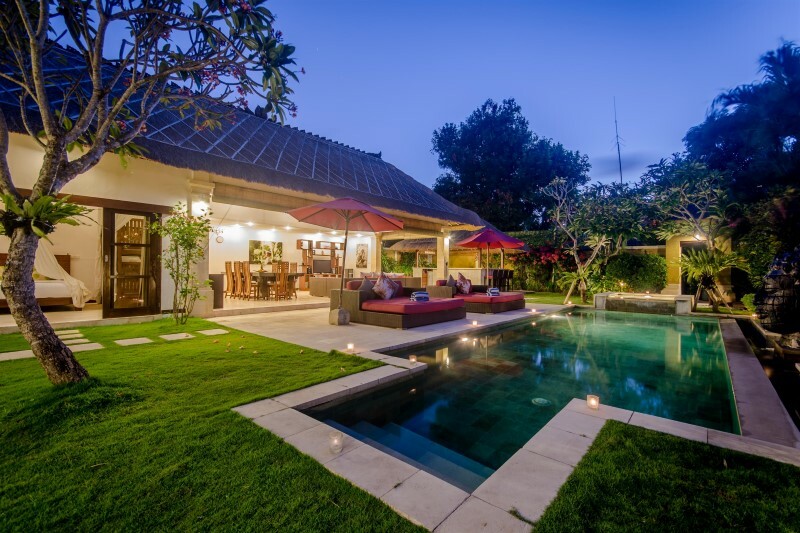 I stayed at Villa Bugis in Seminyak. I travelled with my partner and 10 month old daughter along with brother and his partner and my mother and her partner. The villa was perfect for this. We each got our own spacious room with bathroom. The facility also enabled us to have our own private swimming pool, bar, pool table, table tennis table and our own chef for breakfast. It was perfect for what we booked it for. 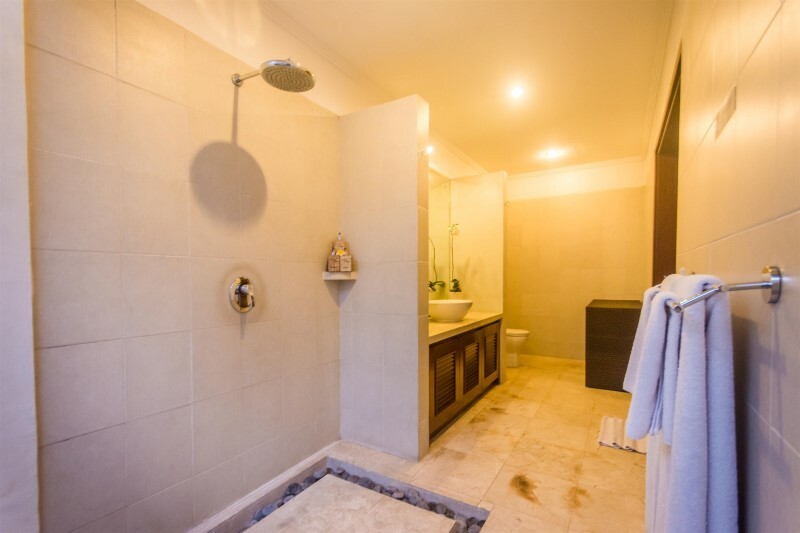 I would definitely recommend this for families travelling to bali who want their own privacy away from all the action. 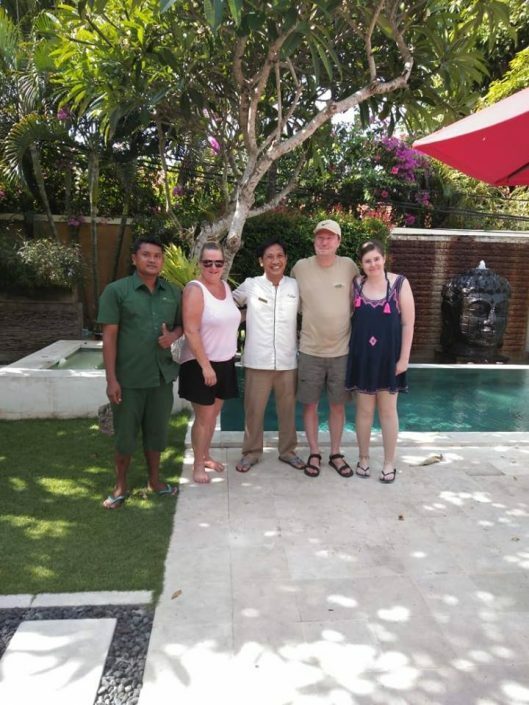 The villa has its own personal security which are present 24/7 and the staff are AMAZING. They are all so friendly and willing to help where ever possible. Such lovely people!! Thanks for such an amazing place to stay !!! I have stayed at Villa Jaclan a number of times. 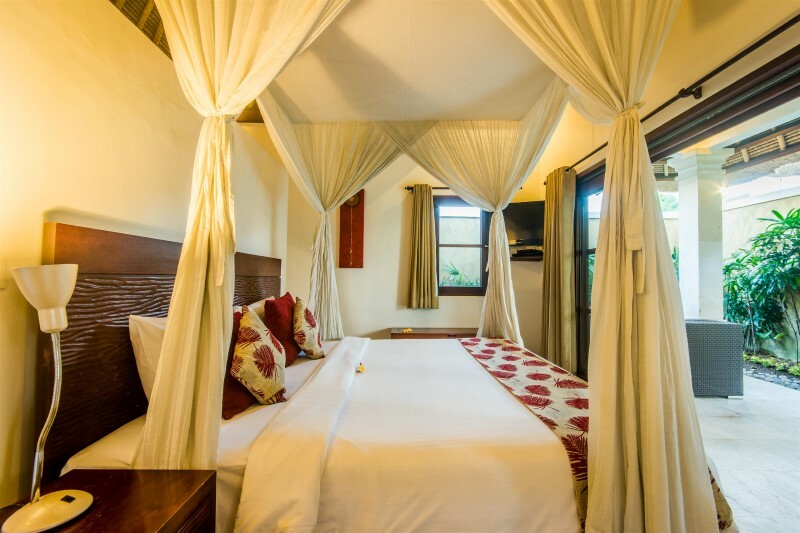 It has been well designed by the owner who truly understands what holiday makers want. 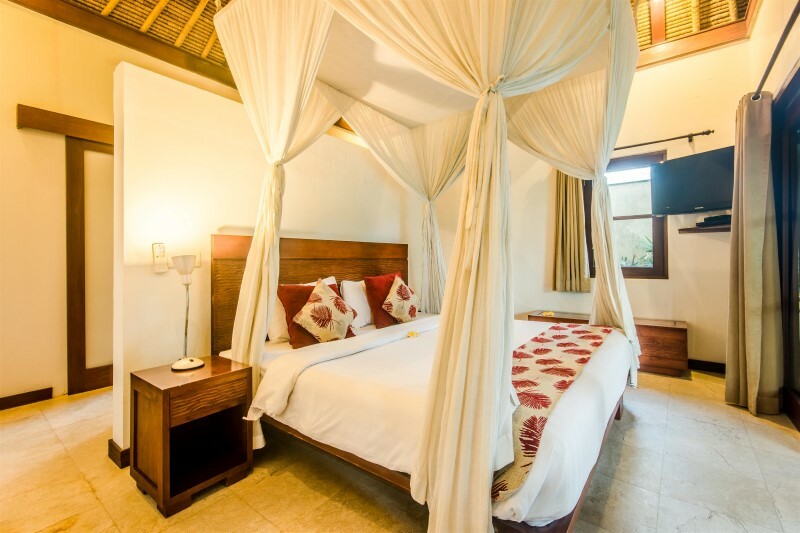 It has all the mod cons without taking away the traditional Balinese style and ambience. 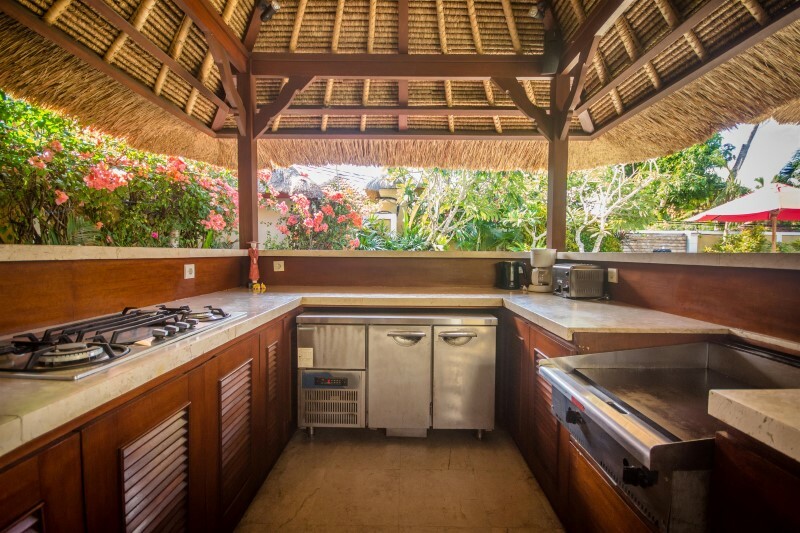 There are always cold bintangs in the fridge ready to greet you on your arrival which kick starts the beginning of what is always an amazing stay. 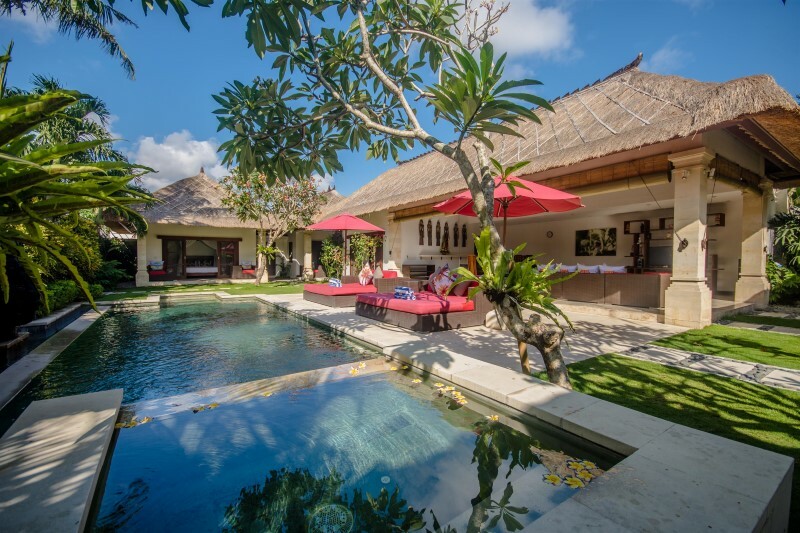 Villa Jaclan suits every demographic traveller from couples to families, business people and groups. I have even stayed here on my own as it really does feel like “heaven on earth”. 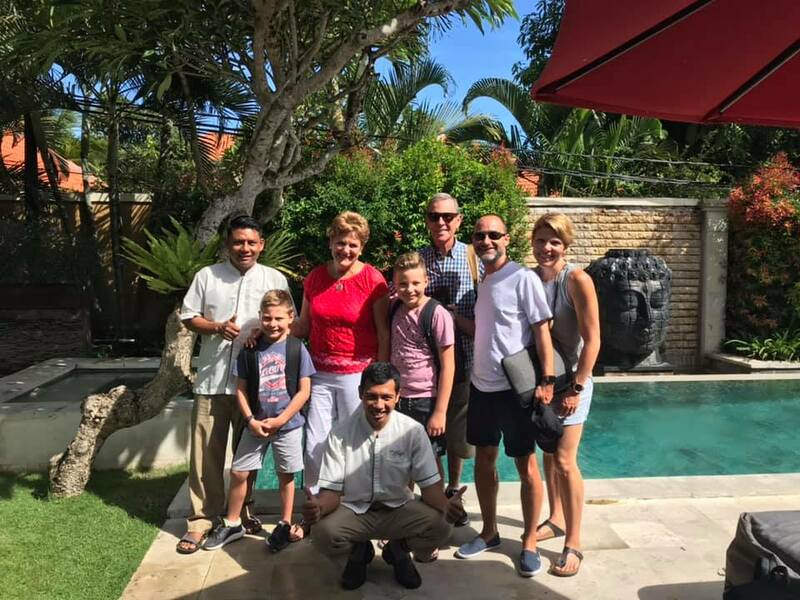 I travelled to Bali with my husband, his brother and two friends in May 2015. We selected the Villa Jaclan for our stay as it offered a nice, comfortable villa, with great pool, outdoor entertaining and included a pool table (which also converted into a table tennis table. This meant that we could just lounge around the villa, swimming in the pool and playing pool. There is a great outdoor bar/kitchen area that made fixing the beverages very easy. 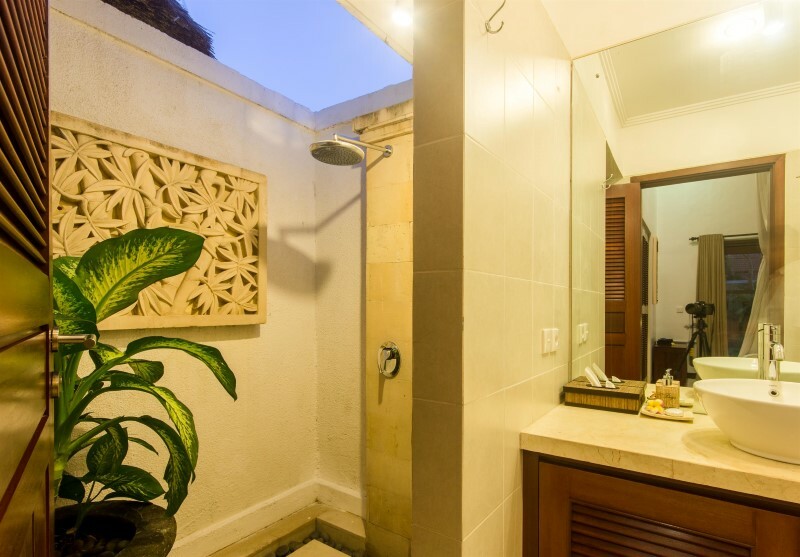 There are three bedrooms – two of the rooms are seperate and have beautiful outdoor bathrooms. The third bedrroom is attached to the main outdoor area and has additional bunk beds for children if you are travelling with them. The rooms all had ensuites and air con. No problems with hot water or aircon not working – was 100% perfect. The staff at the villa are awesome – always on hand to assist with any of your requirements. 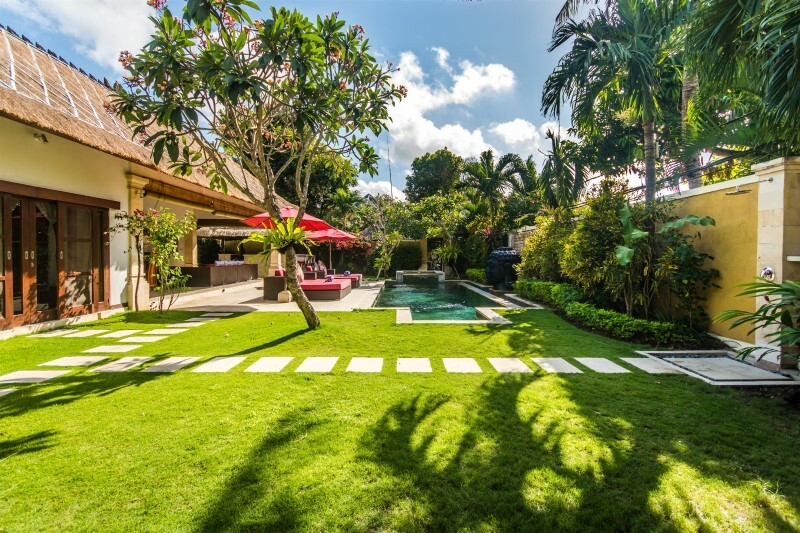 The location is perfect – nestled in behind the Bintang Super Market at Seminyak and a short walk to the beach (you need to get directions from the security guard for the short-cut). There are great restaurants along the beach where you can just sit and relax and watch the waves. This would be excellent for those with kids who want to take a surfing lesson – there are heaps of surfing schools along the beach here. The villa is also close to the lady-boy night clubs (Bali Joe’s etc) which always offer up a fun night out; and many other restaurants – all that we tried were very good and there is a good mix of local and international cuisine. 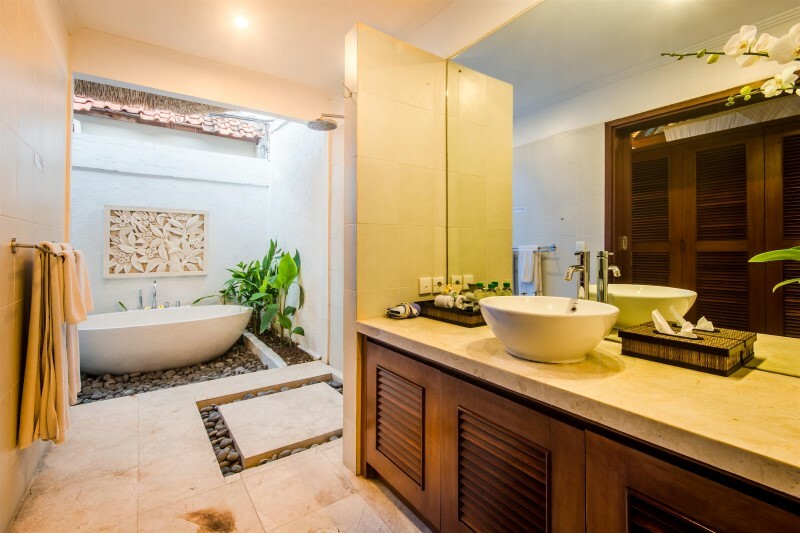 the villa: suberbly set out with all the necessities for staying in bali…..the spa and pool kept the water at a refreshing temperature as opposed to other pools which were too warm because of no spa. 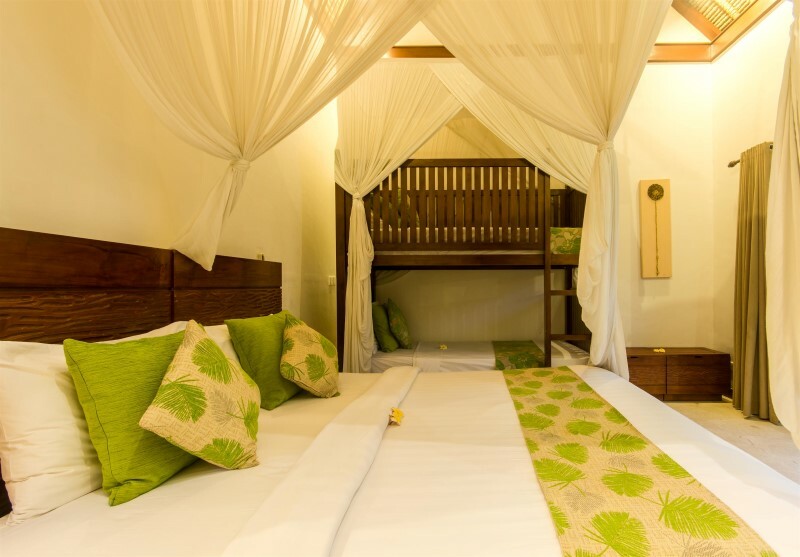 the bedrooms were light and airy and well maintained. 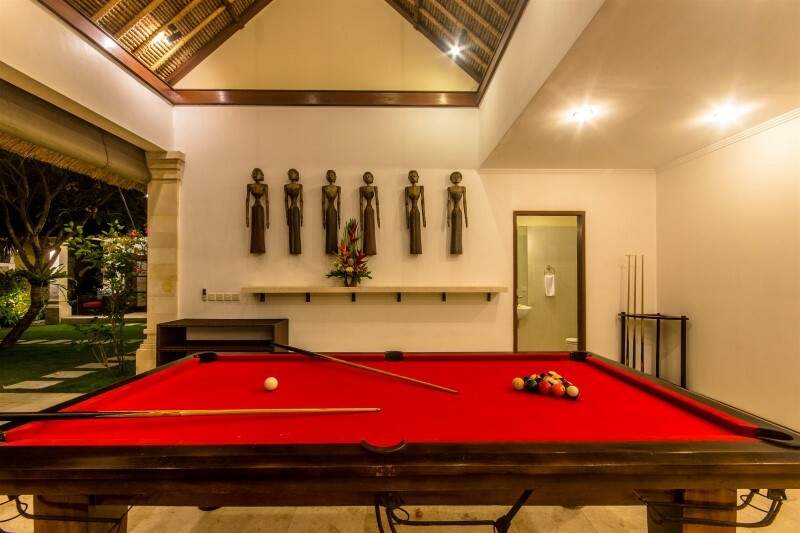 gardens well maintained….dining table/pool table/tabletennis table gave us a lot of fun. 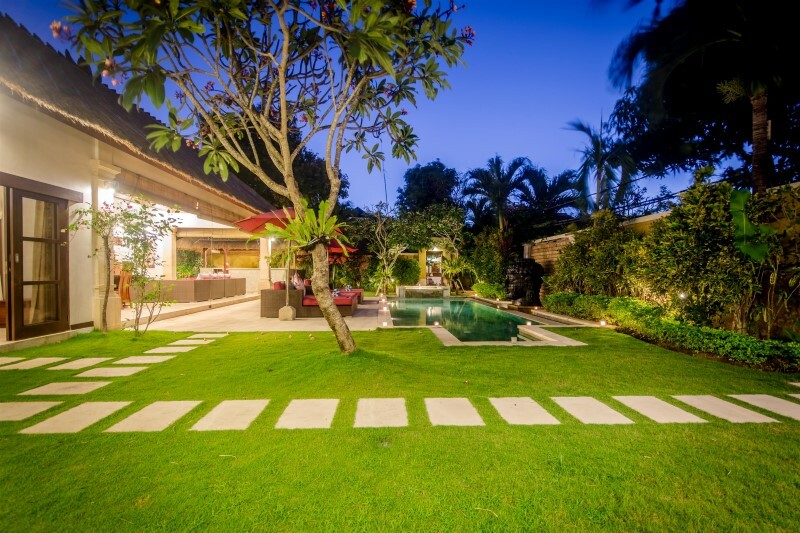 The location: close enough to walk to seminyak road and take advantage of all the shops and restaurants. we enjoyed a chilled out time there and the boys could hop on their scooters and head down to ulu or up to canggu for surfing. 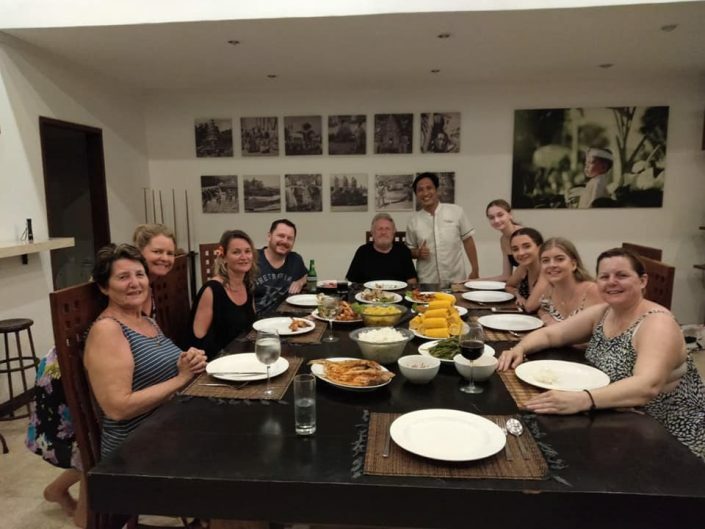 Several of us stayed recently at the beautiful Villa Jaclan (part of the Bugis management team) and would be back in a flash! 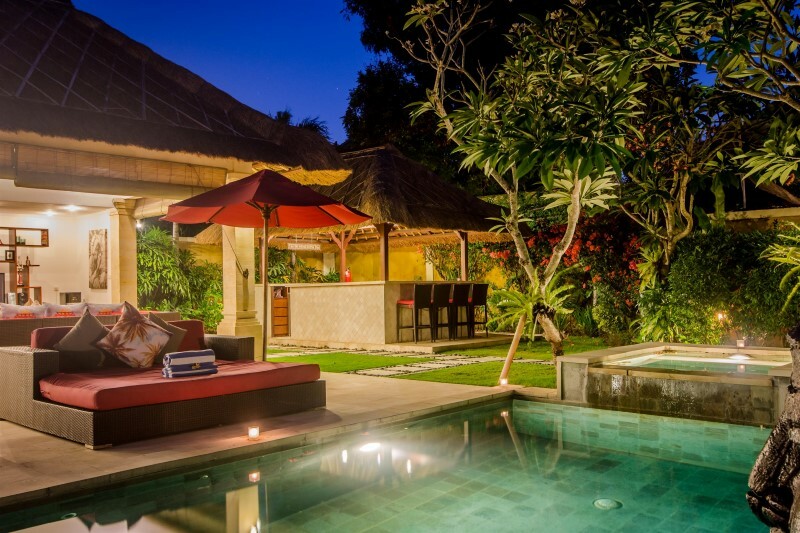 We have all stayed in many villas and various accommodation in Bali and this was one of the best we have been to. Great location down a lane behind the very handy Bintang Supermarket (that doesn’t just sell Bintang for those wondering!) 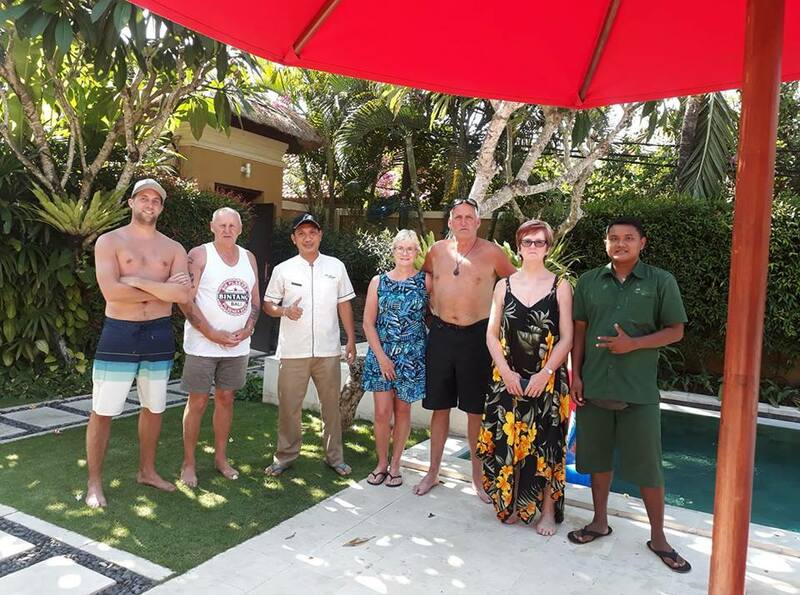 and very helpful and friendly staff and management who couldn’t help us enough.You are only a few minutes walk to the beach or the main streets (and to the wonderful Bali Spa) but you are set well back from the crazy roads of Seminyak. 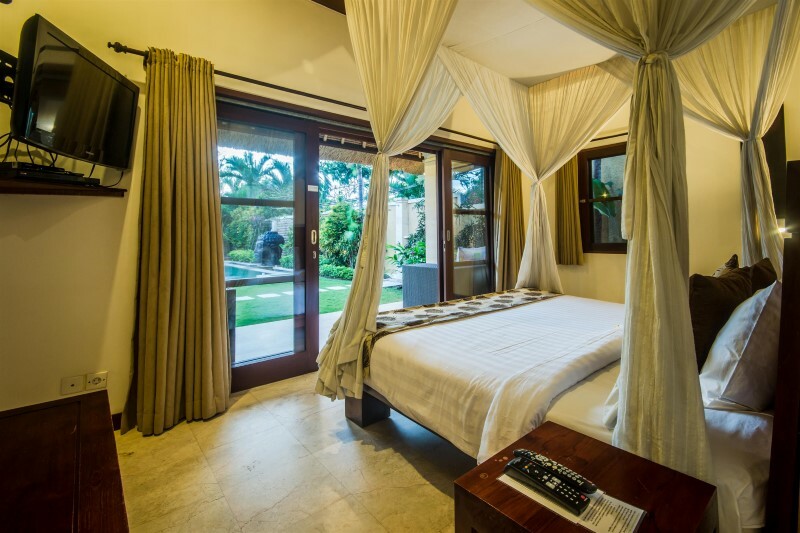 The villa itself had 3 very spacious rooms, each with their own ensuite …. 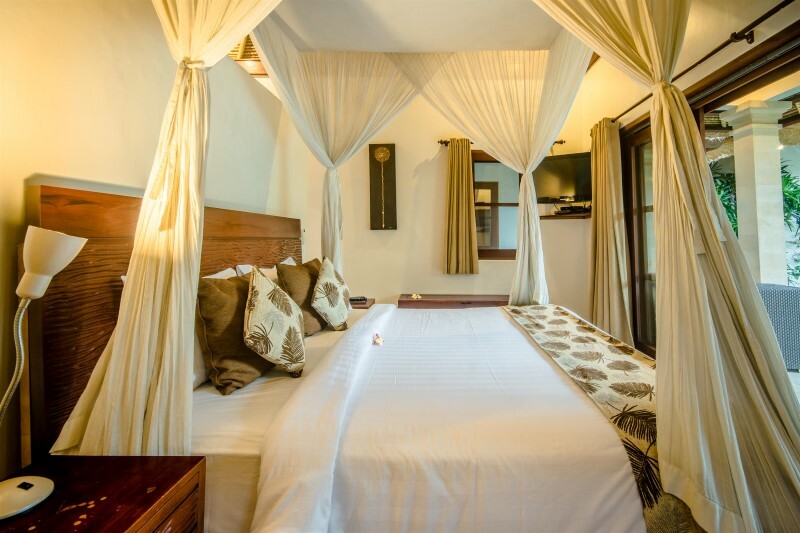 comfy beds and good quality linen, a good sized pool and spa, great outdoor setting and living area, tv, wi-fi etc. There was always a security guard at the front gate and he helped out with bits and pieces when needed as well (such as food and drink deliveries for us) We were there to celebrate a friend’s 50th birthday and the staff organised everything including a magnificent meal for the party (and at a very reasonable cost). 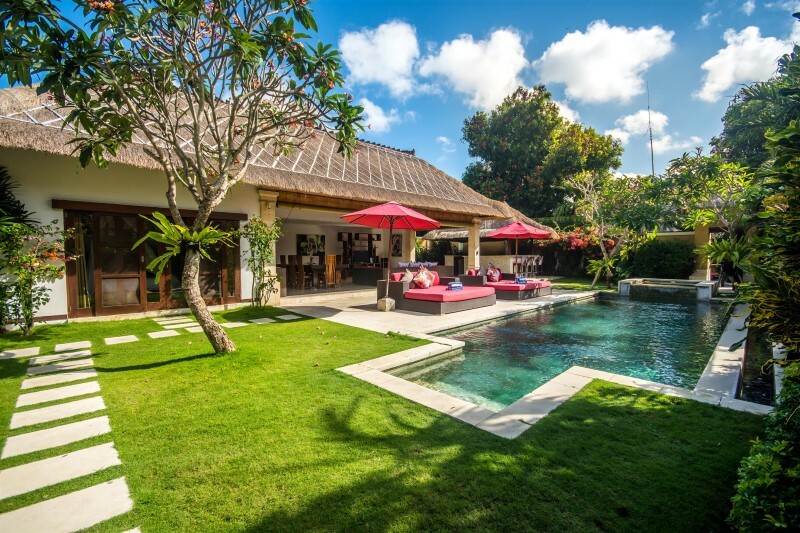 We loved Villa Jaclan and would have no hesitation returning to it or one of the other Bugis villas. Thanks everyone, especially Maya and Kadek! ps Maya’s breakfasts are EXCELLENT! We have just had a wonderful week at Villa Jaclan and celebrated my 50th birthday here. 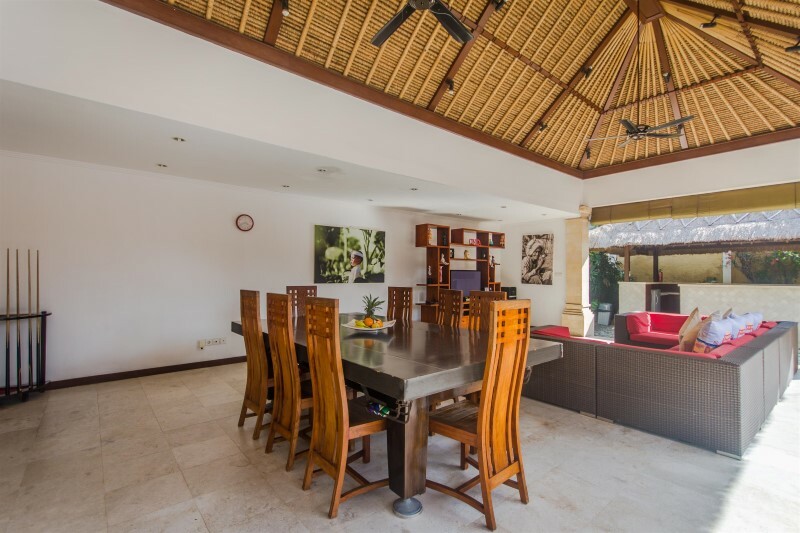 The Villa itself was in a great location, is the perfect layout for a group of friends sharing and great for a celebration. The staff helped organise everything from the catering (which was amazing) to drinks, ice, decorations and cake. There was nothing that was too much trouble, Kadek and Maya were fabulous hosts. The rooms are spotless, the pool lovely and clean and breakfast each day was delicious. Airport pick up was smooth and I placed an order for supplies on arrival and they were all there as requested. Can’t wait to return! We stayed in the Villa Jaclan which is part of the Villa Bugis group in July this year. This was my second holiday at a villa with the Villa Bugis group. They are great. It is such a nice feeling to come back to your own villa after a day of sight seeing or shoopping. Breakfast was made for us each day and was basically what ever we wanted; bacon and eggs, continental, pancakes, balinese food etc. 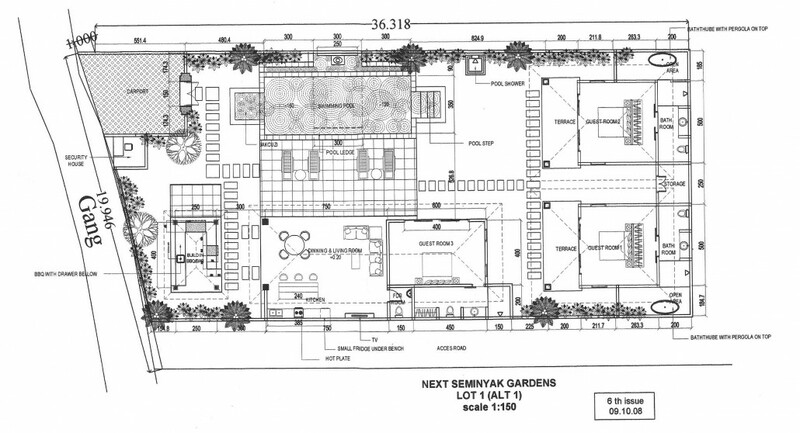 The layout of the villa was fine. 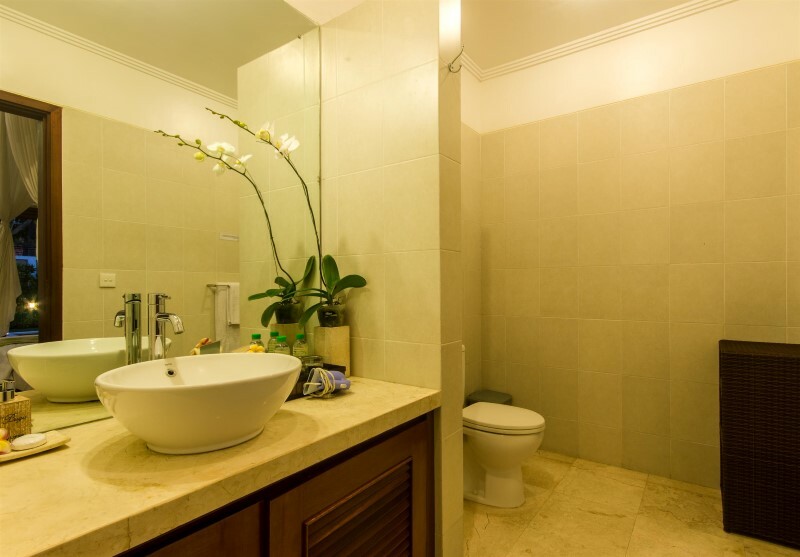 The Rooms were great with your own indoor/outdoor bathroom. The TV’s had all the channels that you would need. There was free wifi which was actually good. There was alway a security guard outside the compound who would help you with anything that you wanted, from ringing and booking a resturant, to organising a car or scooter etc. Most of the villas are down laneways, so take a torch as they can be very dark at night. I always found the area safe. 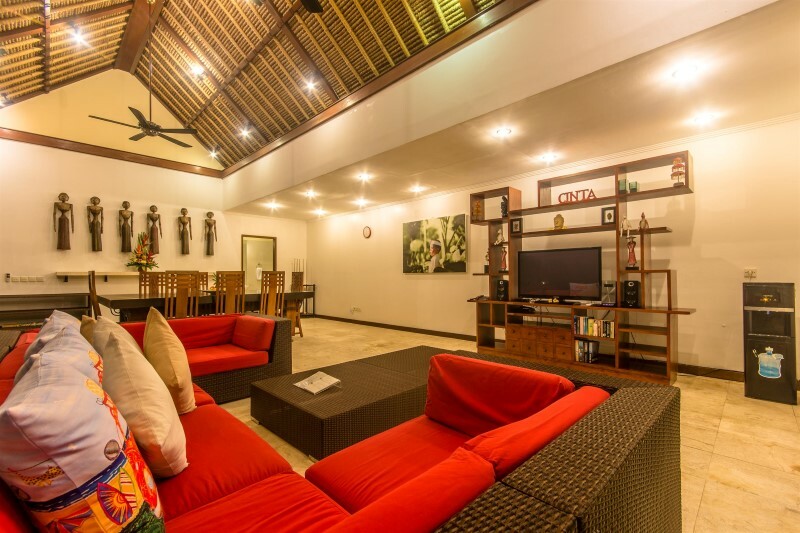 The villa is very well located, walking distance to the Bintang supermarket, resturants, shops and the beach. It was a lovely holiday in a lovely villa with wonderful staff. We stayed at Villa Jaclan for 10 nights. In a word ‘awesome’. 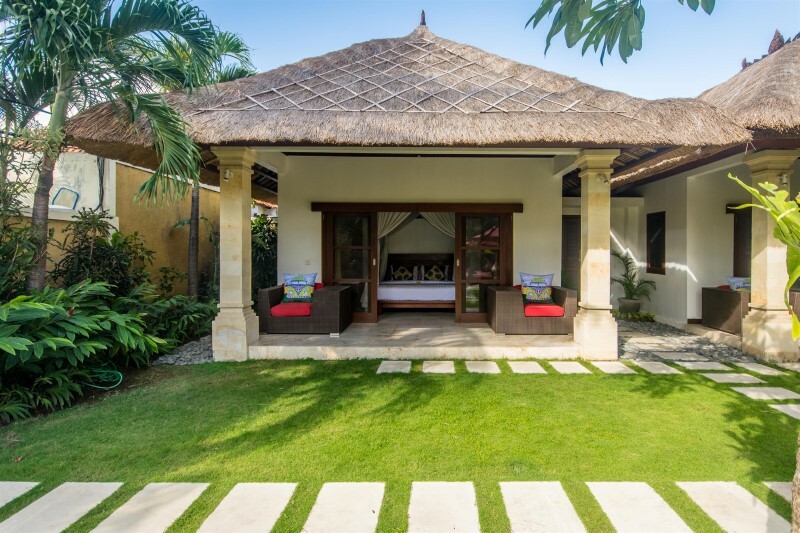 Super friendly and accommodating staff, villa is well maintained and has a luxurious level of appointment throughout. Peaceful Buddha watched over us from pool side :-) Our guest assistant, Kadek, was particularly good at helping us organise outside activities. Nothing was too much trouble. Loved to stay here, pool and pavillion facilities were awesome, we would come back here..
Only negatives : pool cues need to be replaced + aircon in bedroom 2 doesn’t work very well. .also put a mirror in air conditioned part of rooms for ladies to put on make up in the cool. Attendans an assistant were lovely abd very helpful. within days villa Jaclan felt like home, only better ! everything works here to make that true holiday experience. Maya with Guest assistant is an efficient operator who provides a delicious breakfast & housekeeping service. nothing is too much trouble & no one ever says NO !!! 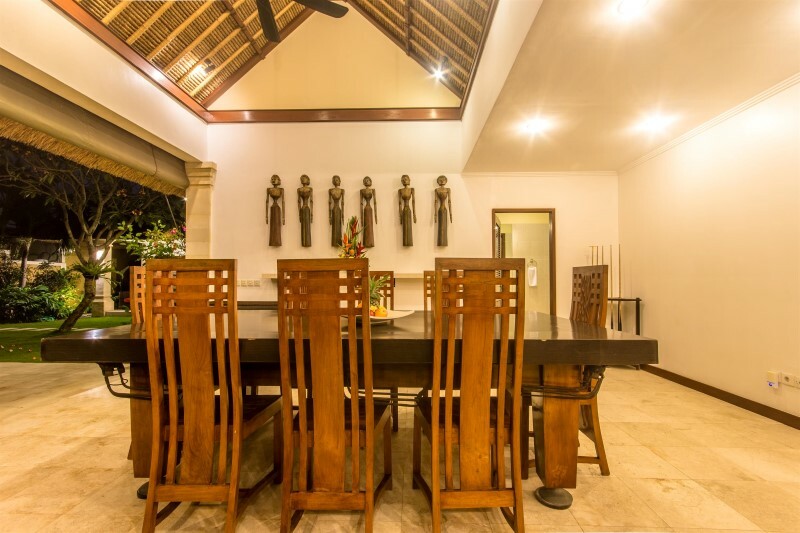 The ambience of the villa is spacious,private, and a welcome retreat from the hustle & bustle of the world over the walls !! Thank you for a wonderful holiday…..what day is it.?????!! !